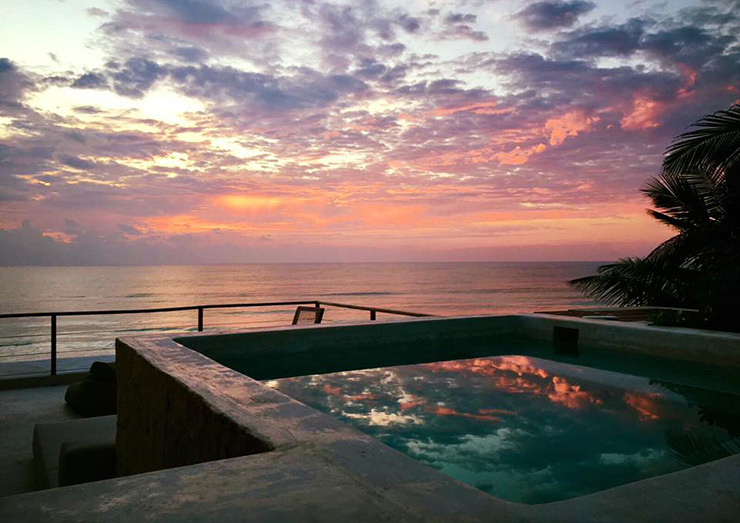 Let’s got to Tulum, Mexico! 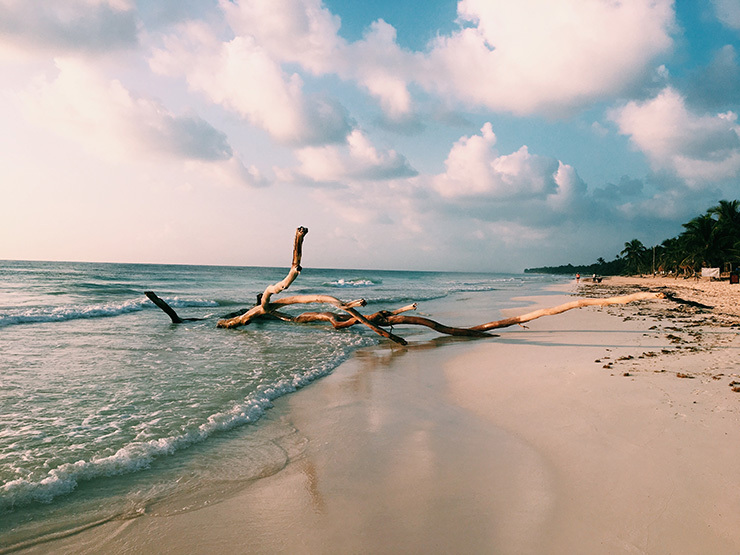 Tulum, Mexico has always been on my list of places to go. But let’s be honest, what isn’t on my list. 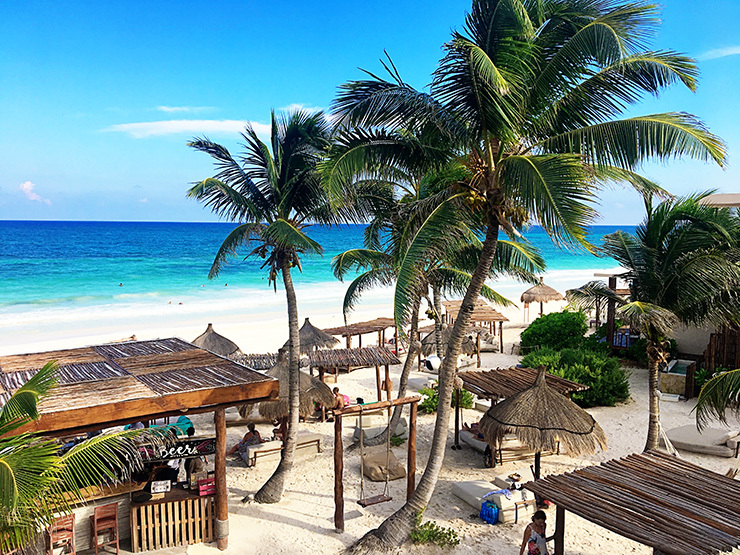 😉 Tulum is a hip and tranquil hot spot just a 90 minute shuttle ride from Cancun, and away from the gigantic concrete all-inclusives that line the Cancun beaches. 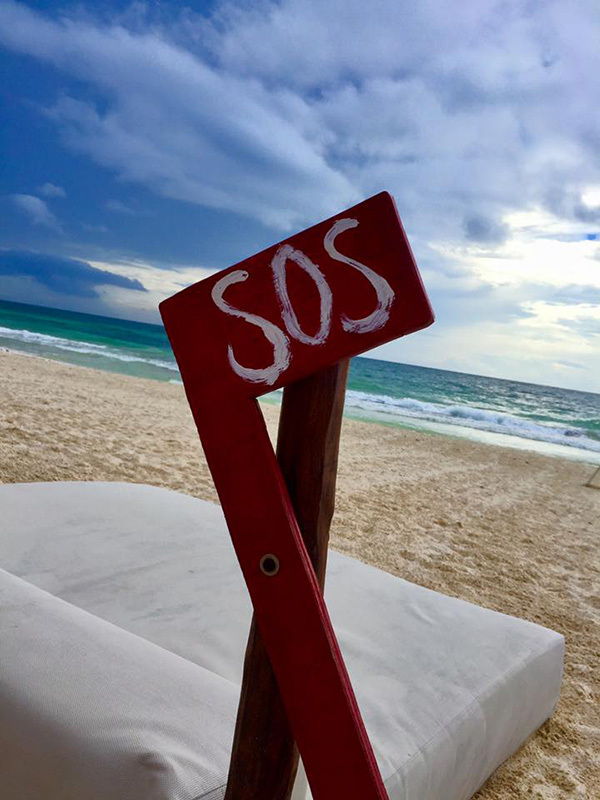 Tulum has been the go-to spot for New Yorkers escaping the cold bitter winters for years (says a New York friend of mine). 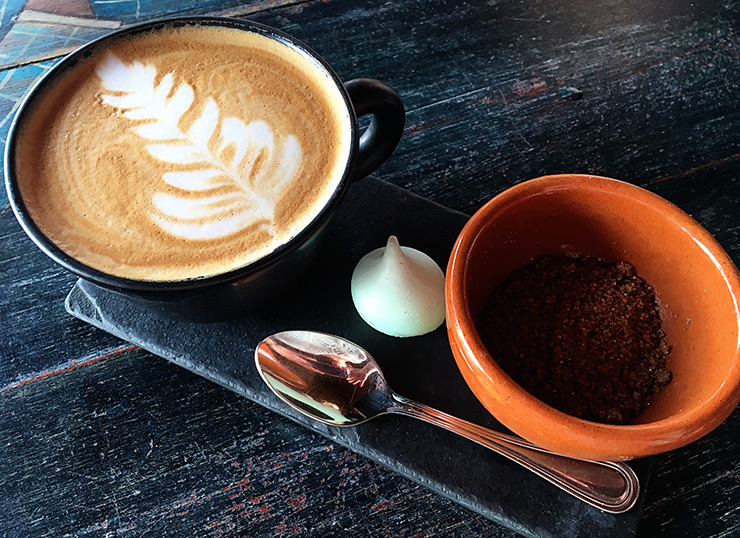 Mix that with a bunch of Los Angeles entrepreneurs opening boutique hotels, trendy restaurants, and yoga retreats, and you have one chic little town. So naturally, I had to see what all the cool kids were talking about. 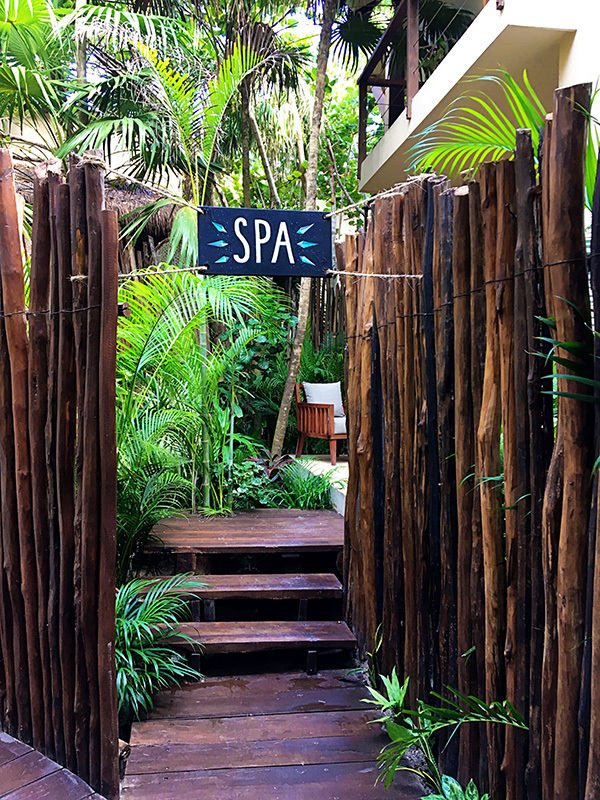 When I decided to have my 40th Birthday in Tulum, the only thing I needed to decide on was which hotel was going to host this epic celebration. This was a bit of a stressful task. I had 12 women coming and I wanted to make them all happy. 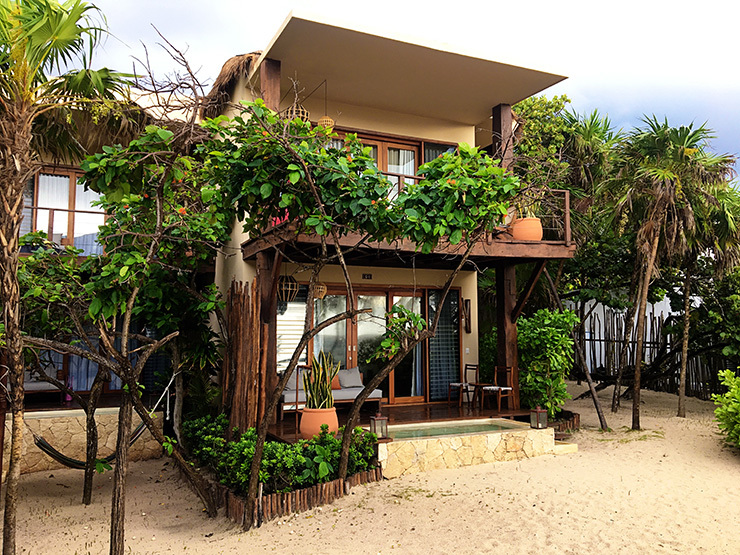 In the end, I was deciding between three hotels but I finally decided on La Zebra Tulum. 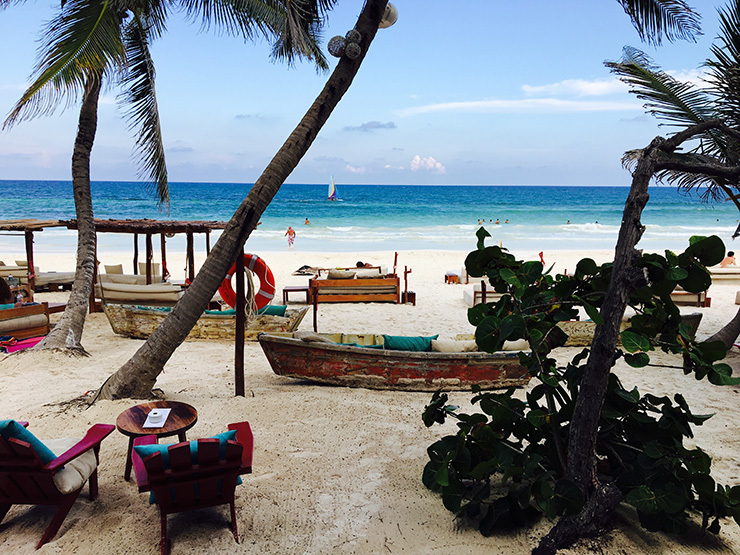 La Zebra Tulum is part of the Colbri Hotel Group, which has four hotels in Tulum. La Zebra checked off all of my boxes. 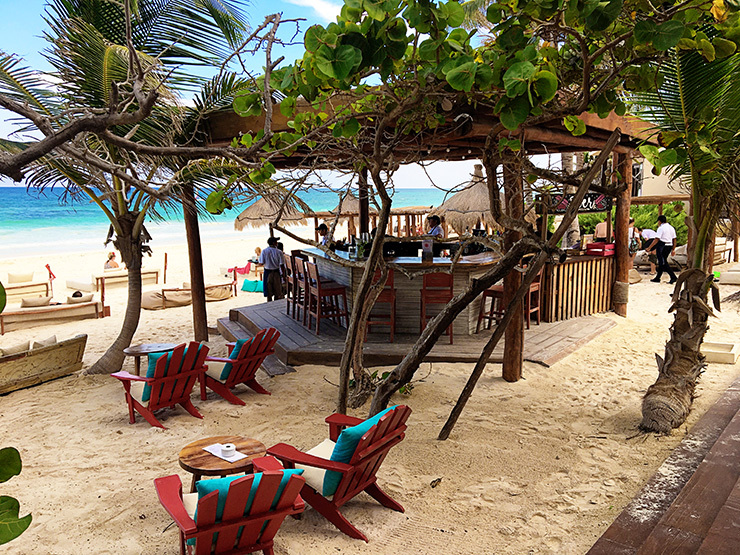 It was right on the beach, and had a good restaurant & bar. The rooms were nicely decorated and modern, and it wasn’t extremely expensive. 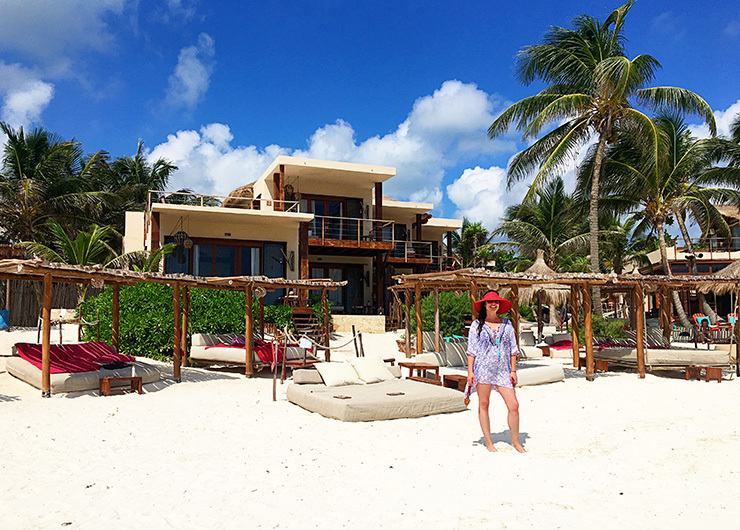 It also seemed to have the overall vibe that I wanted – barefoot in the sand, chill and fun. When booking my reservation for our large group I worked with the hotel directly. No. I did not ask for a media rate or discount of any kind. 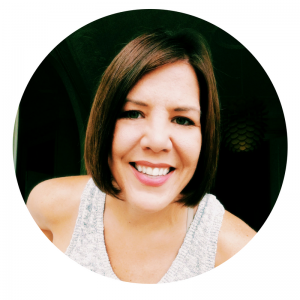 I was not “working” – this was my BIRTHDAY! I was not interested in owing them any sort of coverage or social media mentions. Nor did I want to burden my friends with that sort of thing. I was a regular paying guest. However, they did give me a small group rate discount since I was booking so many rooms. I paid for the rooms and had my girlfriends pay me directly. It was easier that way then them booking their rooms. 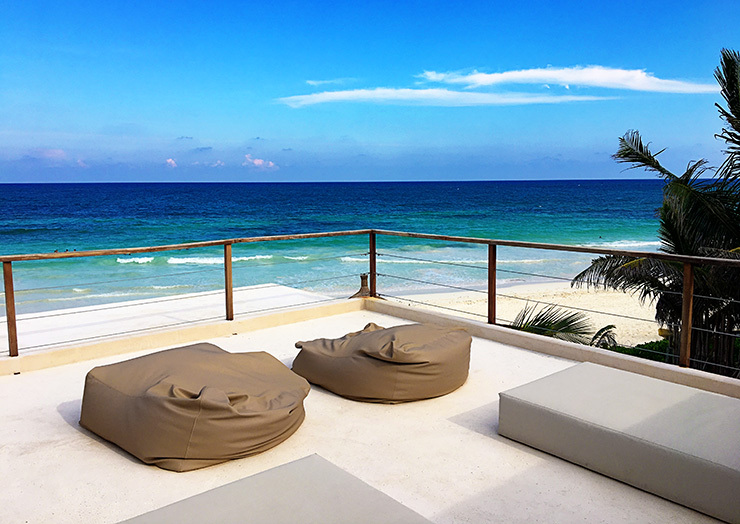 I wanted to actually pay for a portion of their rooms as well, I mean – they were coming all the way to Tulum for me. I am not sure of the number of emails that went back and forth, but towards the end it was A LOT. 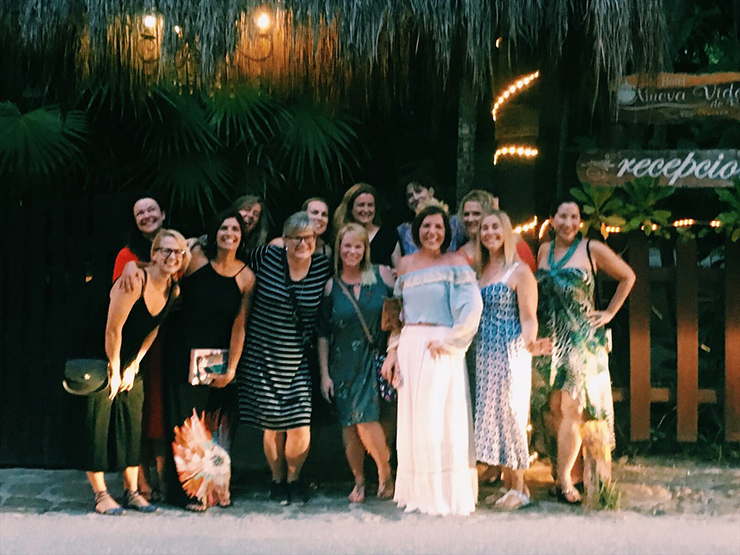 They helped me coordinate transportation and even a day of activities to the Tulum Ruins and the Grand Cenote. They were so helpful and responded to all my inquiries quickly. I am sure they were eager to meet me, the crazy 40-year-old lady and her 12 friends! Arriving at La Zebra was so lovely. We were on the main road that goes through Tulum for about 15 minutes when the van stopped and pulled into the small driveway of the Hotel. There was lush greenery surrounding a small desk and a gorgeous zebra wall behind. I knew instantly I made the right choice, and I hadn’t even got out of the van yet! Once I did get out of the van, the lovely ladies at the front desk were anxiously awaiting me because they had a surprise for me. They had upgraded me to the penthouse beachfront suite for my birthday! This amazing suite also came with a gigantic hot tub, which would later be the crazy party tub all weekend long. 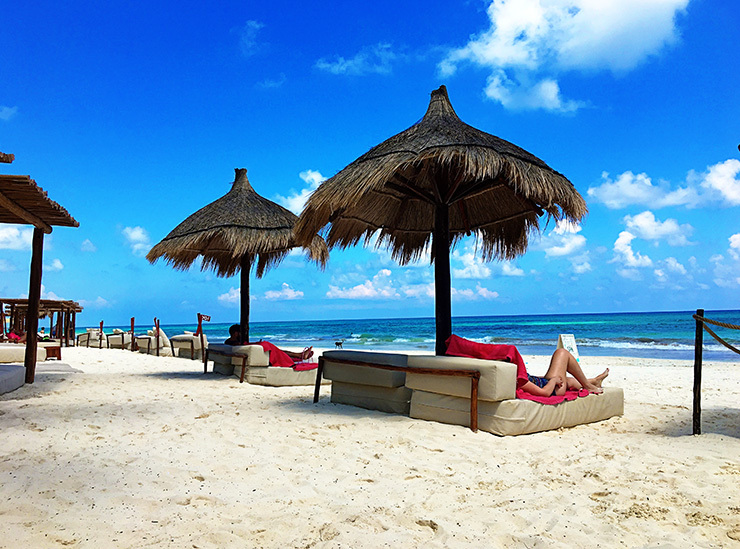 My birthday is in September which isn’t exactly high season in Tulum. It can be the rainiest month, so I took a real gamble. But in the end it was so worth it, because I am sure that suite is probably usually booked! I was so appreciative of the upgrade. My two roomies were sure to love it as well! One of my girlfriends had brought a few decorations for my room, including a Happy 40th Birthday banner which she hung above my bed. La Zebra has a variety of rooms to choose from at different price points. The ground level suites have dipping pools and you can either have an ocean view or be a bit further back on the property and have a garden view. To be honest, I liked the garden view suites because they were a little more tucked away and felt a bit more private. Also, when you’ve had enough of the sun and beach it was nice to retreat back to these rooms. I booked us all rooms with a dipping pool and at night we sat around one of these dipping pools drinking wine or tequila. It was perfection! My penthouse beachfront suite balcony! 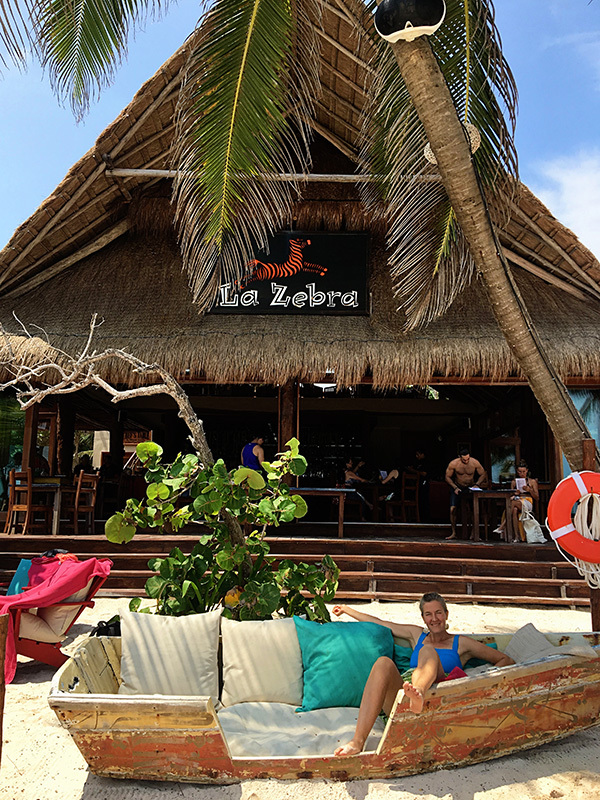 Even if you are not staying at La Zebra – you should definitely come to check out their restaurant and bar. 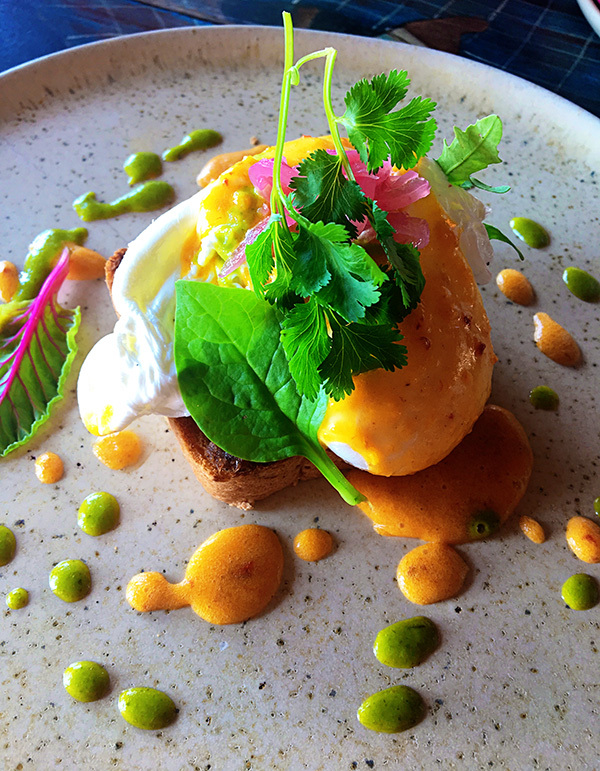 We had breakfast every morning and everything was fresh and delicious. I loved the little meringues that they gave with their cappuccinos! It’s little details like that, that just make me smile. We had dinner here two of the three nights and since we were there on a Sunday night we got to also take in the Salsa dancing. La Zebra hosts Salsa dancing lessons every Sunday night, and the place was packed! Locals and people from other hotels come to enjoy this night and the energy was incredible. So was the dancing! 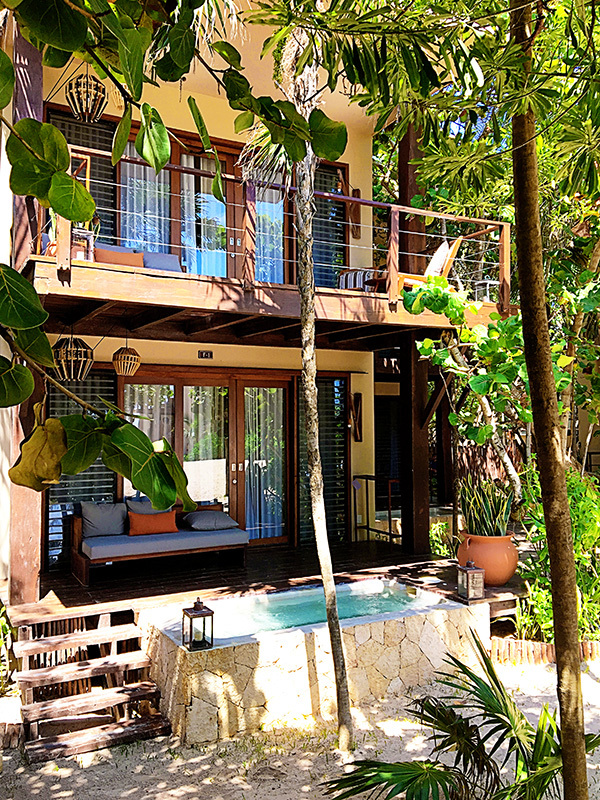 *There is also a pool and a relaxing sitting area above the restaurant and away from the beach. This was a great place to retreat to as well, it is quiet and partially shaded. We had this whole area to ourseleves one afternoon. I brought together women from all different chapters of my life. Some knew each other but some did not. This was another gamble, but this group of ladies could not have hit it off better! Everyone gelled and got along from the moment they met. This is probably what made me the happiest the entire weekend. My friends having fun together and the fact that they took the time out of their busy lives to come down to Tulum to celebrate with me. 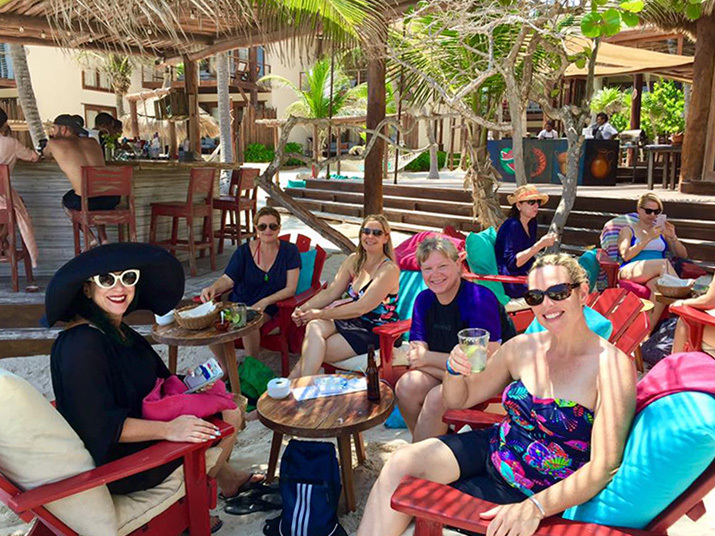 The staff referred to us “Las Mujeres” – ‘The Women” – during our stay. They certainly responded quickly whenever we needed or wanted anything, and were never more than five feet away to do anything for us. They were awesome. There are many pictures of this weekend I will refrain from putting in this post and should probably not go public. But to say we had a good time would be an massive understatment. 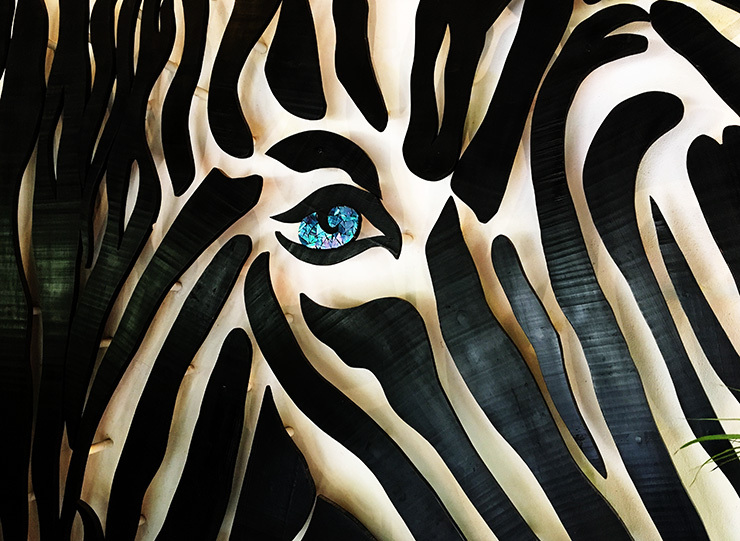 If you cannot already tell – I LOVED La Zebra Hotel. and I don’t think it was just because it was my birthday. When I stay at hotels I really observe everything and make mental notes of all the little extras that some people might never see. I love a hotel that has personality, is creative, fun and stylish. If I am being honest, the name sort of threw me off and I thought it was a bit cheesy at first – but now whenever I see a zebra anything it will remind me of this hotel and my incredible experience with my girlfriends. In fact, I bought a zebra maraca at the airport, it was the one and only thing I bought in Tulum. It’s in my office and I see it daily. It is the perfect reminder of all my friends and the intense laughter we all shared that weekend. Walking on the beach every morning seeing scenes like this, gave me chills. The girls crowned me La Chica Reina on my Birthday night!